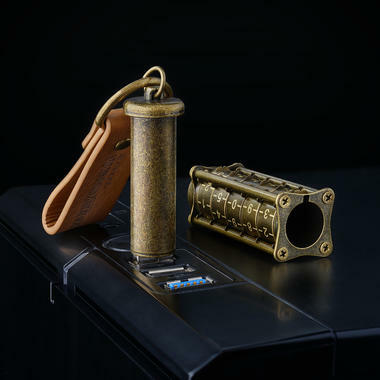 Protect your data with this metal cryptex USB drive! When it comes to data security, it's good to invest some time and read up on the topic and common ways of protecting yourself. After all, once the talking moose, a prince from a far-away country or any other criminal have your credit-card details or your social-security number, you're in trouble. 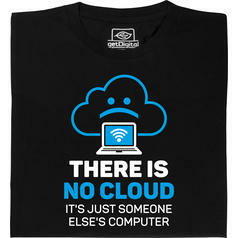 But never forget that, given some time and resources, most digital encryptions can be cracked. That's why the Ironglyph  Locked USB Stick in Steampunk Design will protect you from criminals, using a method that can be traced back to Leonardo da Vinci. Since Dan Brown's books and the movies with Tom Hanks, almost everyone knows it: the cryptex. Hidden behind a sturdy metal case and movable rings, you can transport hidden messages - or, in this case, a USB flash drive. 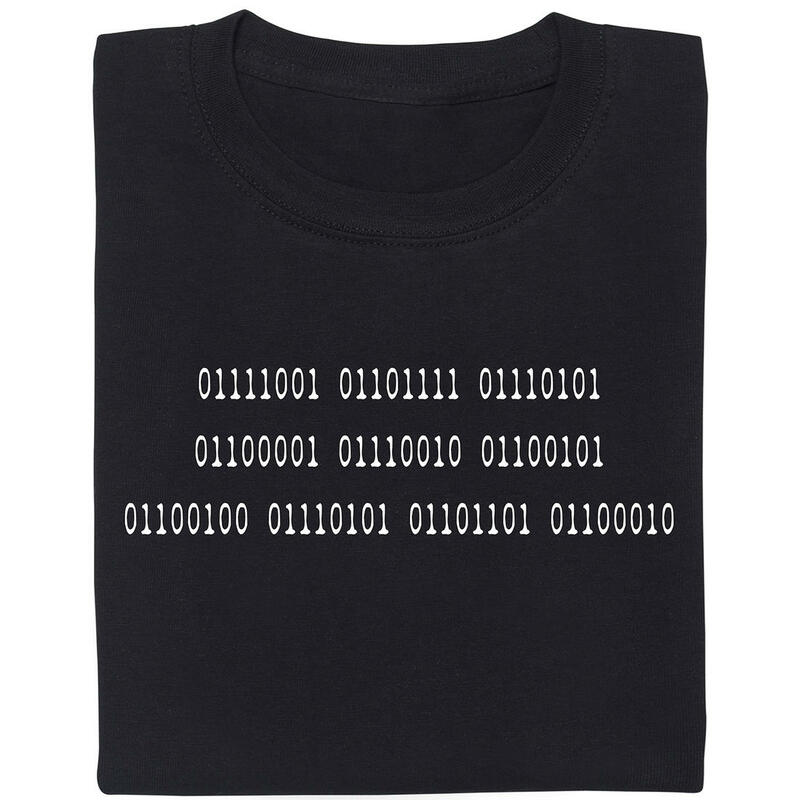 Now you can encrypt your data both digitally and the old-school way. The Cryptex Cylinder houses a 16GB or 32GB flash drive and can only be opened if the 5 rings with the numbers from 0 to 9 are set to the correct positions. With the handy carrying strap, you can even attach the Ironglyph to your keychain. Both variants include a carry bag. Please note: The code for the cylinder can be found on the inside of the outer packaging. Please keep this information in a safe place. 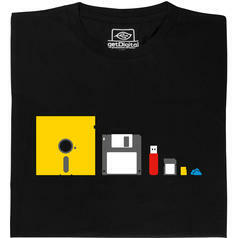 from 179 DKK lade... Fair Geek Wear Storage Evolution T-Shirt Do you remember the bulky predecessors of Cloud and Co.? 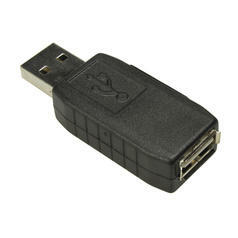 485 DKK lade... USB KeyGrabber The USB KeyGrabber is the ideal monitoring tool for keystrokes. 224 DKK lade... 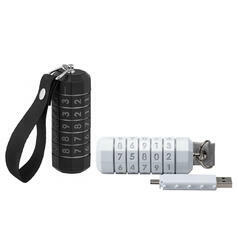 Combination Lock USB Flash Drive 16GB Protect your data the old-school way! from 224 DKK lade... 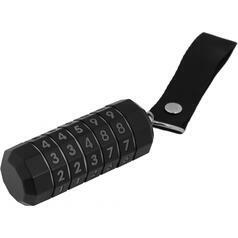 Combination Lock USB Flash Drive Protect your data the old-school way!